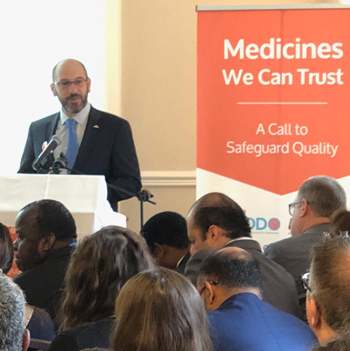 For 200 years, the USP, founded as United States Pharmacopeia, has been working behind the scenes to help ensure that medicines are what they claim. What’s next for one of the most important standards-setting organizations that you’ve never heard of? In the early 19th century, New England physician Lyman Spalding found himself troubled by the state of medicine in America. Medicines at the time were typically derived from hand-collected plants and minerals. Their preparation was not well regulated. Medicines of the same name often didn’t share the same properties or the same medication had different names in different states. The lack of national standards around medicine concerned him so much that, while living in New York, he began advocating for a national pharmacopeia—a well-defined and clearly described roster of trusted medicinal components that could be universally employed by midwives and medical professionals across the country. In 1817, to help make his case to America’s medical societies, which had a history of strong rivalries, Spalding recruited Samuel Mitchill, a respected doctor who had authored a local pharmacopeia for New York hospitals. After three years of advocacy, Spalding and Mitchill brought together leaders from the nation’s previously divided regional medical societies for the first General Medical Convention in the halls of the US Senate in Washington, DC. The result of that meeting was the creation of the first United States Pharmacopeia, as well as a sense of unity that had never existed in the medical community. “This was definitely an effort to build a national identity,” says Gregory Higby, a historian of pharmacy at the University of Wisconsin. 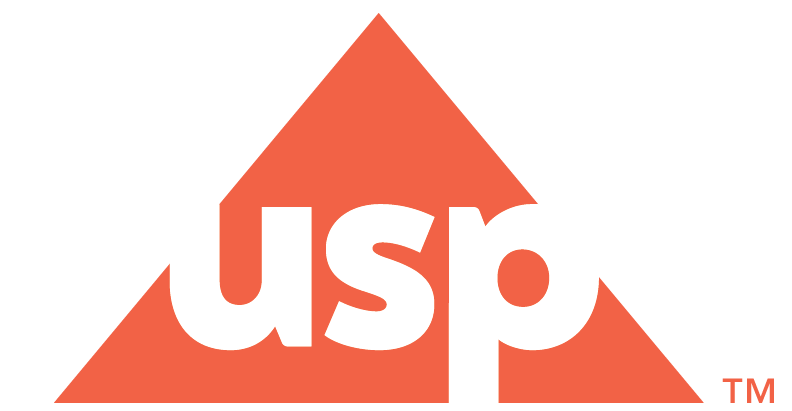 Since that first gathering in 1820, USP has continued to bring together scientific, medical and technical experts to establish quality standards for the manufacture of drug products. Yet many people do not know of the USP and the work that it does. “It has never been a name on the tip of the tongue of every American,” says Ronald Piervincenzi, the organization’s CEO. But the organization has been shaping the science of medicine quality for nearly 200 years. And that work of helping to ensure the quality and trustworthiness of medicines continues. Today USP exists in a world unimaginable in Spalding’s day. The complexity of the drug manufacturing supply chain, as well as the accelerated rate of innovation, present challenges that echo those faced in the earliest days of USP. But now the stage has expanded to a global one. To a certain degree, USP has been changing since the moment it began. 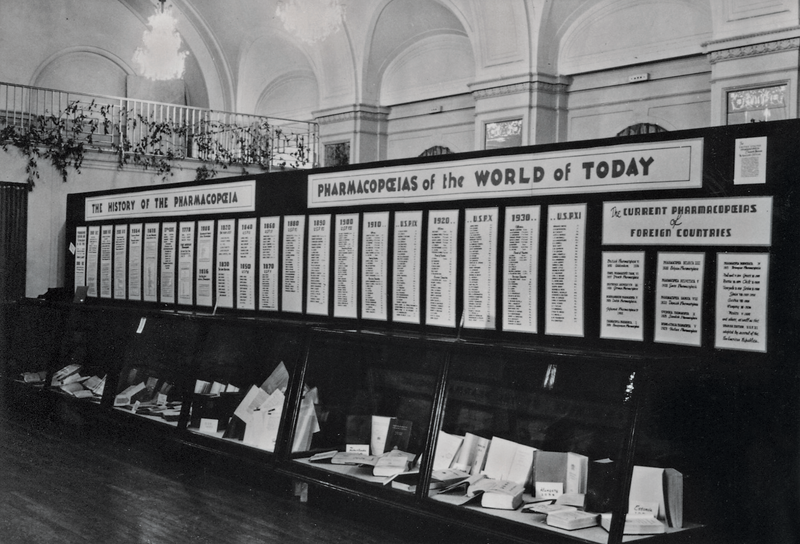 The first edition of the pharmacopeia was a landmark in many ways. It was written in both English and Latin, making it broadly accessible to apothecaries, and it was printed at a low cost that made it easily affordable. But it was also a fairly rudimentary and incomplete collection. “They made some decisions that were unpopular as far as certain preparations go, and it didn’t get very good reviews,” Higby says. Because USP’s founders decided to revise the pharmacopeia every ten years, they could continue to improve the document; and later editions were more comprehensive and scientific. In the 1870s, chemist and inventor Edward Squibb, of Bristol-Myers Squibb renown, advocated aggressively for more routine revision to reflect the growing pace of scientific advancement. Today, the pharmacopeia is revised on a continuous basis. Charles Rice, a noted pharmacist who helped establish the National Formulary, a popular drug reference that was eventually combined with the pharmacopeia, helped bring USP’s efforts into the modern era. His efforts transformed the sixth revision, published in 1880, from a collection of recipes into a true chemistry resource, with formulae and purity tests based on the emergence of analytical chemistry. “It basically became a kind of standard scientific textbook,” Higby says. The role of government regulation continued to grow in the early 20th century. Harvey Wiley, a government chemist, became a fierce advocate for quality testing for both food and medicine, and is widely credited as the architect of the 1906 Pure Food and Drugs Act. This law codified the USP and National Formulary standards as benchmarks for quality, and laid the foundation for the birth of the Food & Drug Administration (FDA). USP adapted to a number of changes over time, including a new environment that allowed generic medication in the 1980s. Public quality standards play an important role in facilitating the entry of multiple generics into the market once a product’s patent protection expires. The challenges of this new paradigm gave rise to a new science of ‘bioequivalence,’ and USP’s public quality standards were, and continue to be, a cornerstone in efforts to define similarity in action. In acknowledgment of the faster pace of change, the USP Convention, which is comprised of the leading organizations representing pharmacy, physician, science, public health, as well as government agencies, now meets every five years to govern the organization and set its highest priorities. The next convention will be held in 2020, marking USP’s bicentennial year. Despite the rapid evolution of pharmaceutical technology, Piervincenzi believes USP’s role has remained a constant. “We started as a network, a convention of volunteer scientists—and we still are.” However, the organization is considerably larger and more far-reaching than ever, with roughly 1,250 full-time staff and another 800 scientists and public health leaders who provide their expertise as volunteers. This expansion is essential, as the USP’s task has evolved from unifying regional medical societies to providing trusted common ground for a sprawling and sometimes fractious global marketplace. “We now have offices in ten countries,” Piervincenzi says, “with talented scientists in every one.” In addition to its headquarters in Rockville, MD, USP has offices in Washington, DC; Switzerland, Brazil, China, Ghana, Ethiopia, India, Indonesia, Nigeria, and Singapore. The resulting manufacturing chains can be unimaginably complex, which is why USP is committed to a strong presence around the world. “The manufacturing of an average pharmaceutical requires a set of materials and ingredients that have passed through roughly 81 countries,” comments a Johns Hopkins University historian, Jeremy Greene, referring to FDA documentation he saw recently.